With cell phones, instant messaging, express lanes, and PDAs, we can now cram more activities into our lives than ever before. But is this a blessing or a curse? Could it be that this fast-paced lifestyle is creating an underlying sense of anxiety and fragmentation? Is it any wonder the television is flooded with advertising for anti-anxiety medication? As a nation, we are stressed out, physically exhausted, and spiritually drained. Working professionals caught in the continual push for success or over-extended soccer moms who feel burdened with too many commitments will find in Out of Control desperately needed help. This book shares with readers the liberating truth that they are not helpless victims of our fast-paced society. 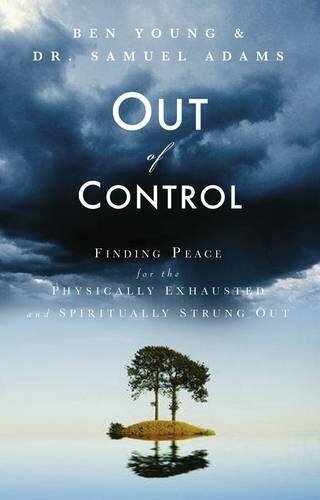 Most importantly, it gives readers permission to slow down and presents practical methods for living a life of peace and simplicity. ..because it's true for you, but not for me." ..because all paths lead to God." ..because all Christians are hypocrites." ..because the Bible is full of myths." ..because of evil and suffering." ..because Jesus was just a good man." If you would like to be able to answer these objections in a compelling way, you've found the right book. 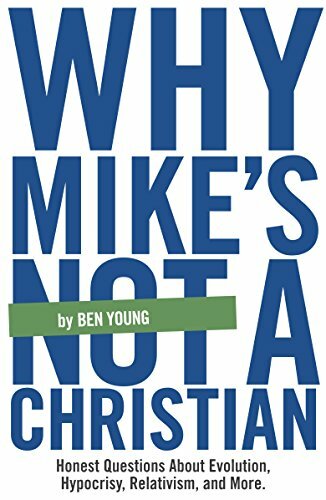 Whether you're a skeptic or a Christian, this book will take your spiritual journey to the next level. The Ten Commandments of Dating, completely revised and updated, offers hope and sanity to singles who are sick and tired of the dating scene. Many people are tired of pouring time, energy, and money into relationships that start off great and end with heartache. Because of that, they need The Ten Commandments of Dating to give them the hard-hitting, black-and-white, practical guidelines that will address their questions and frustrations about dating. Revised and updated for a new generation of daters, this guide will help men and women keep their head as they search for the desires of their hearts. The Ten Commandments of Dating isn't more relationship advice; it's relationship common sense. In their bestselling book, The Ten Commandments of Dating, Ben Young and Samuel Adams showed singles how to date effectively. 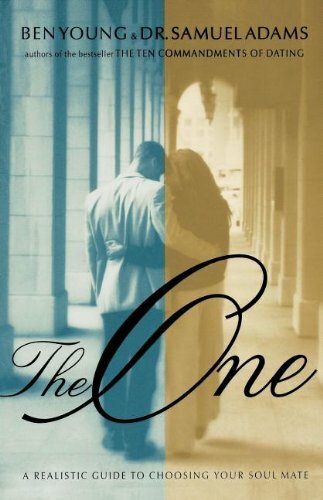 Now "The One" shows Christians who to date and how to negotiate the difficulties of choosing a soul mate. The biggest question on the minds of the 78 million singles in America is simply this: "How can I find the right one?" This book answers that question, giving entertaining yet practical advice for that seemingly endless quest to find "The One." This book emphasizes free will, personal responsibility, proactivity, and preparation, helping singles avoid the pitfalls of dangerous beliefs and hyper-spirituality. 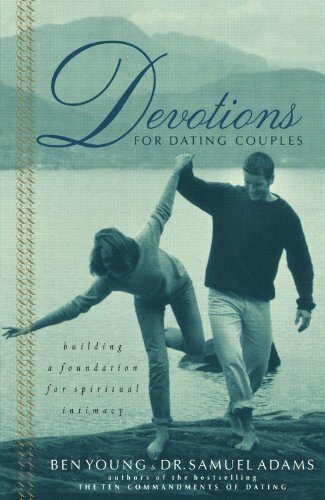 Single Christians will learn what approaches to avoid in mate selection, recognize the myths about finding true love, and learn practical strategies for finding the right person to marry. “Brad, Lauren, and Jarrod sit around a table at Common Grounds, enjoying their weekly Sunday evening get-together. The three are old college friends and, like many of their classmates, they started their careers in Houston . . . they make time on Sunday evenings to catch up, laugh, and compare notes on life . . . ” Three friends all at different places in the journey. 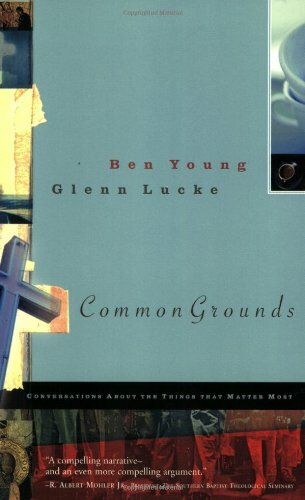 A Southern Baptist, a nonpracticing Catholic, and a non-believer all meet a retired seminary professor who becomes their Socratic guide to explore Christ’s teachings.